Research has shown that drinking alcohol, particularly hefty alcohol consumption, could adversely influence the balance of oral microorganisms. Those in the study that regularly consume had even more bad bacteria in their mouth, such as Neisseria, Bacteroidales, and Actinomyces. It’s long been understood that heavy alcohol consumption will have negative effects on numerous areas of your physiology, however the microbial balance adds a new facet to concerns. The links between oral health and alcohol have been established, highlighting the threats of tooth wear because of alcohol. Patients must understand that alcohol is acidic and also, as a result, highly abrasive, especially when consumed often, in huge amounts, over a prolonged amount of time. If consumed to the point of inducing vomiting, the damage to your teeth is more pronounced. Red wine enthusiasts can celebrate! Researchers have actually identified yet one more reason why you can continue appreciating this beverage. 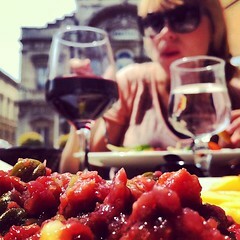 Some of us love a glass of red wine with dinner every once in a while. 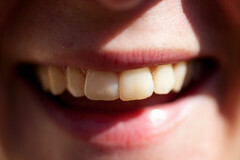 The one down side is that you are at risk of staining your teeth. That being said, it may seem counter intuitive to think red wine could be good for your dental health. The most recent research into wine tells us a different story. Those with a penchant for wine already feel they have plenty of good reasons beyond the aesthetics of adding a nice bottle of wine to your meal. Wine has historically been proven to offer many health benefits, like keeping the brain young, hormonal health, and preventing heart disease. With all of that though, we can now add improved dental health to the list. Surprisingly, it’s been discovered that red wine contains a few components that might secure against the formation of cavities and protect against gum disease. Many of the health and wellness benefits of red wine come from polyphenols they contain, which are a set of micronutrients with antioxidant properties. As antioxidants, they could protect against free radical activities, unstable atoms that fill a key function in cellular aging. However, polyphenols are nutritional superheroes, with a secret arsenal. They impact our gut bacteria, absorbing into the small intestine, interacting with gut bacteria to protect against bad bacteria threatening overall health. The polyphenols in red wine and grapes may have similarly protective effects on your dental wellness as it will fend off harmful bacteria potentially causing gum disease and cavities. 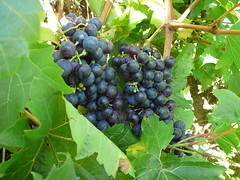 In the study, two sorts of polyphenol typically found in red wine (caffeic acid and p-coumaric acid) along with that of red wine and grape seed extracts (Provinols as well as Vitaflavan) were initially compared to measure their effects on three harmful dental bacteria: Fusobacterium nucleatum, Streptococcus mutans, and also Porphyromonas gingivalis. It was discovered that both red wine polyphenols caffeic acid and p-coumaric acid were most reliable at fending off the dangerous dental bacteria and keeping them from attaching to healthy cells. Next, they tested a mix of caffeic acid, p-coumaric acid, and Streptococcus dentisani, which is an oral probiotic that might help to stop tooth decay, according to recent research. The results were better than expected, as the resulting protection of both polyphenols was enhanced by the existence of the probiotic. Ultimately, the analysis of phenolic metabolites, which are substances formed as the polyphenols start transforming in the mouth, suggested that these metabolites might, as a matter of fact, be the “active ingredient” related to the polyphenols’ protective properties. Feel free to enjoy that glass of red wine, guilt free and secure in the understanding that, at the very least, it won’t impact your dental health in a negative way. Just don’t over indulge, since too much alcohol of any kind is never a good thing in the long run. By site.dev2|2018-05-22T10:43:18+00:00May 17th, 2018|General Dentistry|Comments Off on Can Consuming Alcohol Adversely Effect Oral Health?